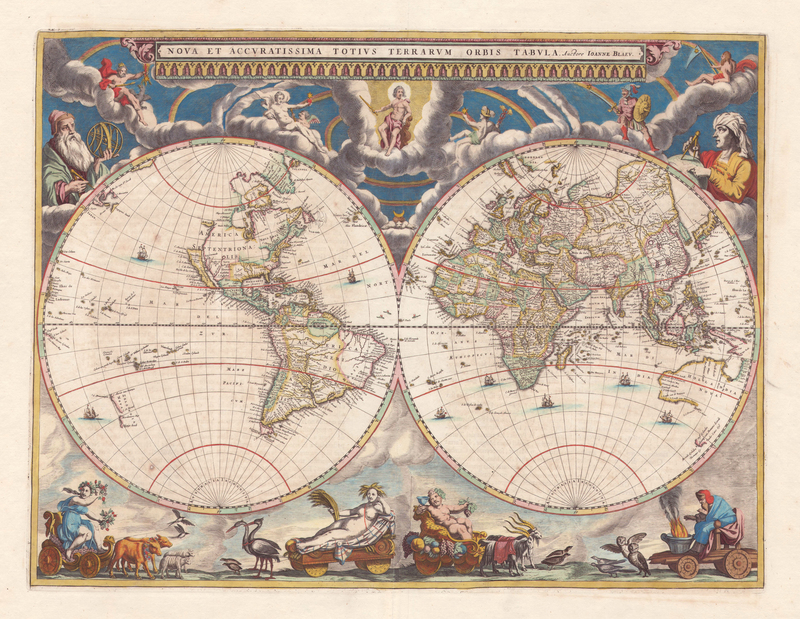 Joan Blaeu’s beautiful world map from 1662 has a lot of decoration, as fitted the world map of the Atlas Maior. 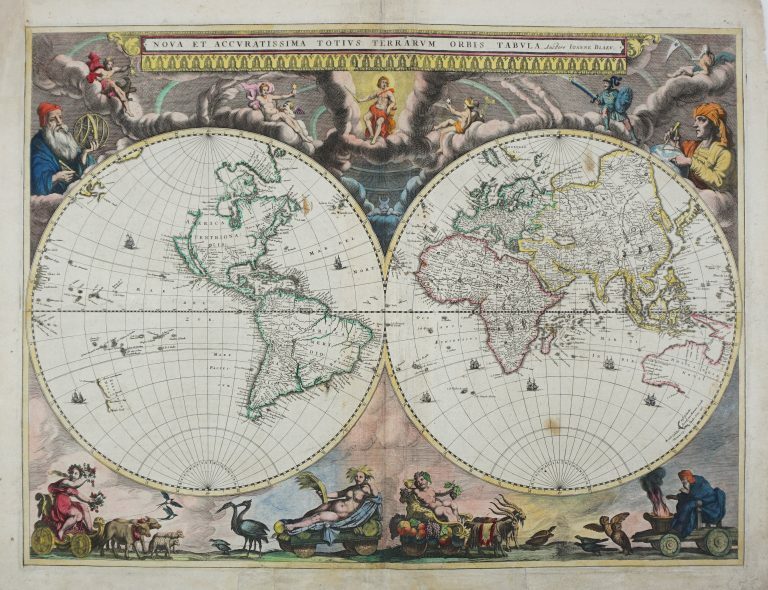 Above the hemispheres are allegorical figures representing the sun, the planets and the moon, while the seasons are represented below. The figures representing the planets are ordered so as to show that it is the Sun which is in the center of the galaxy, not the Earth. The two gentlemen shown are supposedly Galileo on the left and on the right side Tycho Brahe. Again, this is significant and underlines the new understanding of our place in the galaxy, those men representing the new knowledge. California is an island. Actually, California was initially a name of an island in a Spanish fiction. When this land got its name, it was though known it was a peninsula. However, because of an error by a Spanish captain (influenced by the fiction? ), they believe it was an island became common and took long very long time to correct. Below are shown the four seasons.